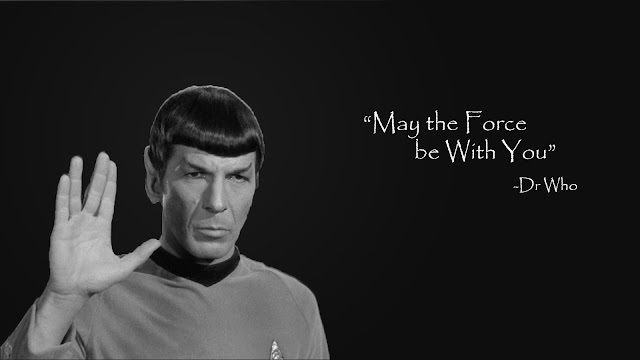 I am a HUGE Star Trek nerd. Thank you for your kind review of this game, I am the designer and remember its time fondly. I think the issue of Star Trek "homage vs parody" is quite amusing. I will let you all know the truth of the situation. I designed both Starships and Spacemen and Star Explorer as (Classic) Star Trek games, but the royalties to use the name "Star Trek" were too high for the publisher, Fantasy Games Unlimited. Of course, if we had purchased the rights to the name, the sales of the game would have been higher! So I changed enough "to protect the innocent" (?guilty) and avoided any direct Star Trek references. The Zangids and Videni are thinly-veiled versions of the Klingons and Romulans respectively. 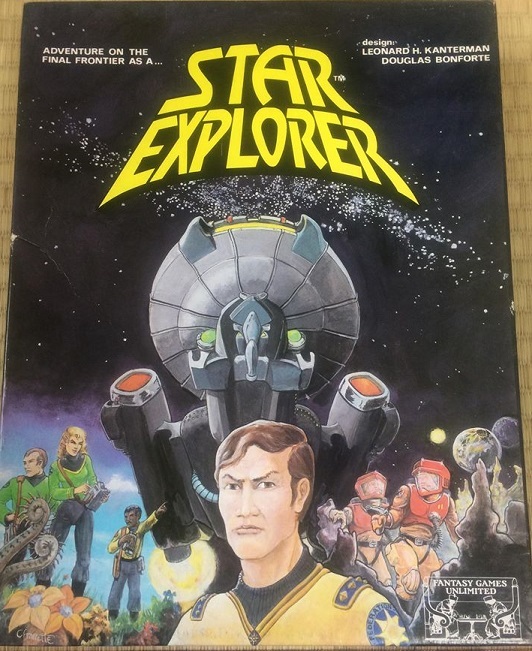 Even though Star Explorer never achieved immortality in the gaming hall of fame, it is fondly remembered by reviewers as a product of its time and I have to agree. 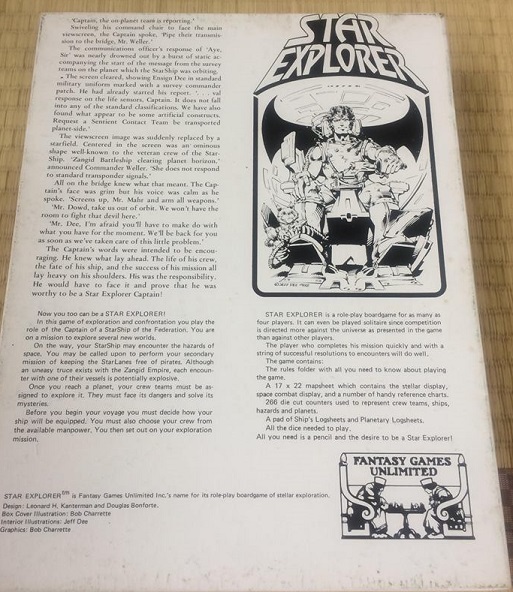 Star Explorer is a game that could have only been published in 1982 and it was a sign of where things were headed in the changing game industry. Also, it's a fun little game. The back of the box has a bunch of flavor text that cuts as close as possible to a Trek episode in its language and references. If you squint hard enough, you can almost see the wink behind the text. According to the game box, you'll take on the role of a StarShip captain, create your own ship and crew and explore several new worlds. 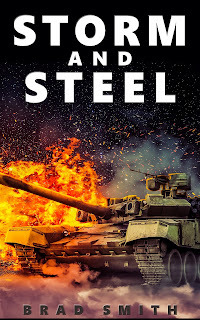 On the way, you meet hazards, pirates, and enemy ships. On each planet, you get missions and encounters that your away team will need to deal with. The game can be played by up to four players, each with their own ship and crew. The game has high solitaire suitability as there isn't really a serious competitive element here (you can't fight other players - you just compare victory points at the end to determine the winner). The 16-page rulebook is well organized but there is a fair bit of errata here. The most notable is the omission of what to do during setup if you run out of map space. Well, it's been thirty seven years now and everyone has had time to make their own house rules. Dr. Kanterman has given his blessing to many of them on the BGG forum. I didn't run into too many situations in my first play that couldn't be easily resolved with common sense or a die roll. Here's the countershee - GAH!! I'M BLIND! It looks like a 1980s ski fashion catalog. 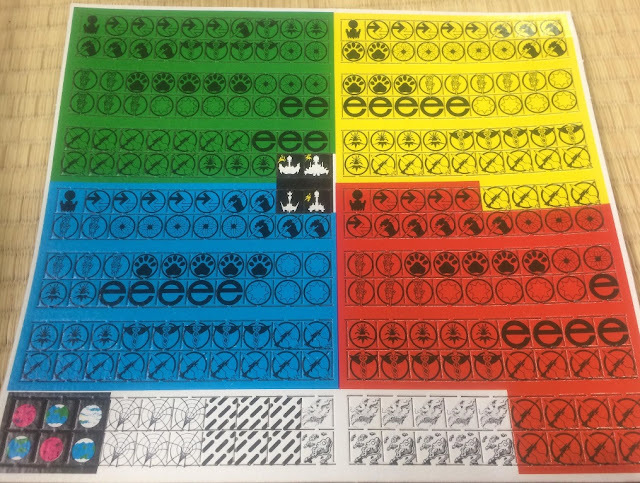 Bright primary colors are used to differentiate between the different player counters. Most of these are used for crewmember types (military, engineers, navigation, medical, sentient contact, geology, and botany). The game comes with three dice, two of them standard six-sided die and the other an old-school unpainted d20 with numbers from 0 to 9 etched on it twice. The suggestion is to roll this die along with a six-sided. If the six-sided comes up 1-3, consider the d20 number rolled as 1 to 10. Otherwise, consider it as 11 to 20. You start off the game by creating your ship and assigning your crew. You get 25 points to spend on crew and 5 bonus points to spend on a variety of other stuff (including more crew, which you will certainly need). If you want, you can just use the sample vessel provided in the rulebook if you don't have patience for it. There is a neat Captain's Bonus you get if you want to continue using the ship over the course of several games. 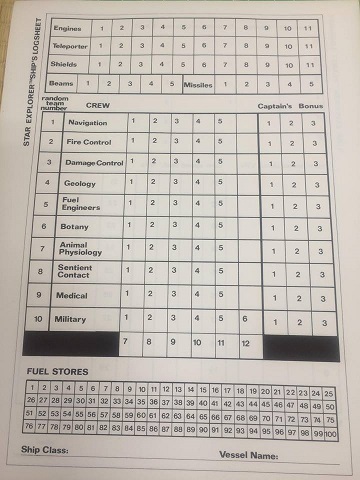 On the back of the log sheet, you list your missions and bonus equipment you find or trade during the course of your missions. I found I didn't need the reverse side at all during my first game. 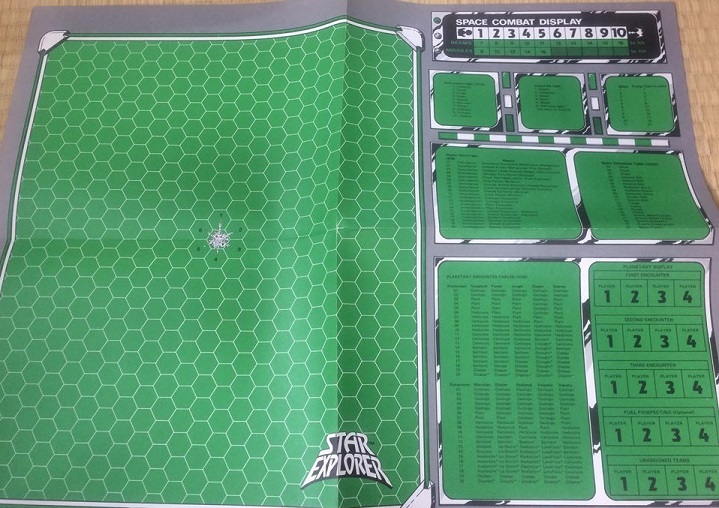 We finally get to the map and in the immortal words of Scotty in Season 2, episode 21 "By Any Other Name" - it's green. So during setup you plunk down four planets on the map according to random die roll results. Then you get a mission to perform on one of the planets. You set your ship at starbase in the center of the map. Each turn, you select a speed and move your ship from hex to hex. For each hex you move, you roll a d6. If you roll a "6", you roll again on a random encounter table. This can be anything from traders to pirates to wormholes or Klingon - I mean Zangid enemy ships of varying class. Each time you move, you expend fuel. If you try to run away from a fight, you expend both fuel and incur a VP penalty according to how long you stayed in the fight. I put my ship up against a Zangid Dreadnaught, the meanest ship in the game, and turned tail after four turns of getting pummeled (though I actually managed to put a dent in the enemy too). The result was a 5 VP loss and 10 fuel. Important note: If you run out of fuel, you lose the game. When you finally arrive at a planet, you send down your away teams and roll on the encounter table. You might get a disruption or a disaster or an alien encounter. Different planet environments yield different encounter chances. The two planets I visited in my first game leaned heavily towards geological encounters and my geo teams were hard-pressed to complete all the missions. You roll a d20 to determine whether you succeed at each encounter on the planet. Then you roll to see if you take any losses from your teams. You get bonuses to the roll if you assign the appropriate teams to encounters that compliment their specialization. The loss tables can be pretty brutal. I lost both my geo specialists by the time I left the second planet I visited. 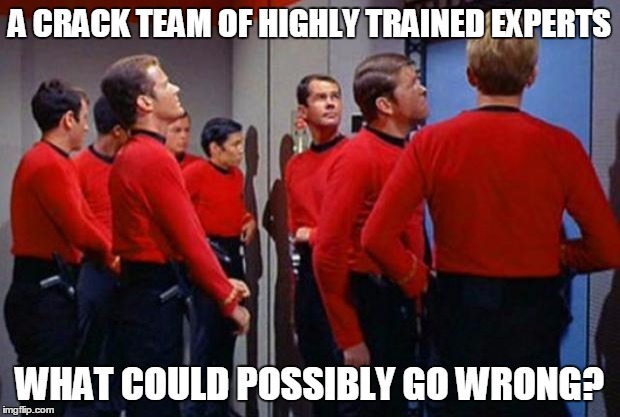 Half my redshirts were gone too. You can also choose to scavenge for fuel on each planet. Again, you run the risk of losing crewmembers and not finding anything. Happily, I found a radiated planet that replenished my drained fuel stocks from 50% to 96% just before the end of the game. You get VPs from completing encounters and destroying enemy ships. When you've explored all four planets or if you just get tired of playing, you head home and cash in your VPs for a mention in a dispatch, a commendation, or a medal. If you did really badly, you get assigned to command a garbage scow. 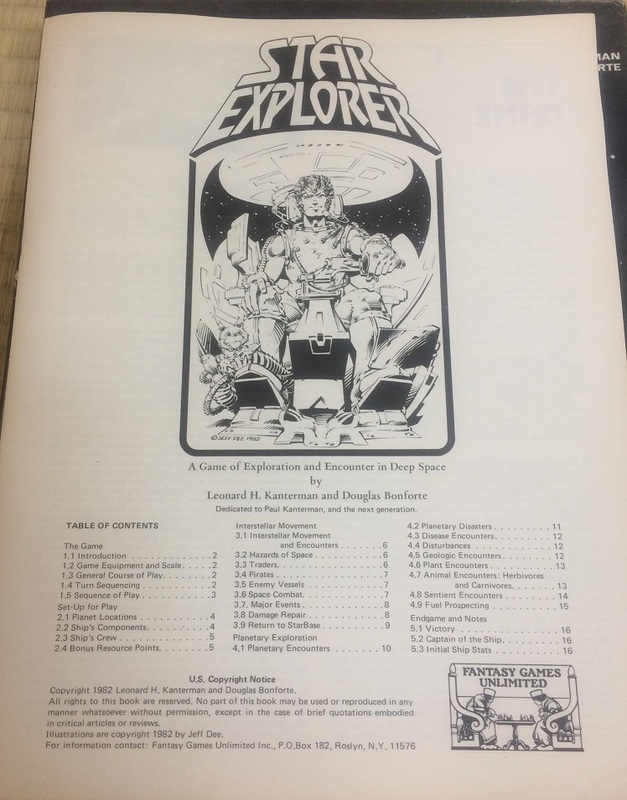 Despite the game's age and outdated components, I had a lot of fun playing Star Explorer. Maybe it was the hex map or the military theme, but I did feel like I was playing a wargame here, akin to Patton's Best or B-17. If you like the series and want something that's feels nostalgic (both in terms of classic Trek and gaming itself), this is a surprisingly decent game for its time. It also harkens back to the simpler days where design necessarily took precedence over components. Stripped of little plastic pieces and glossy cards with photos and detailed backstories, Star Explorer is fun minimalist gaming that can be set up quickly and played to completion in about an hour. 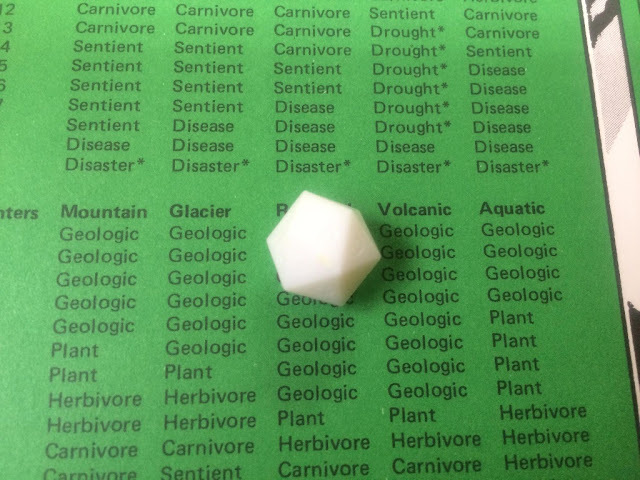 One complaint - the constant die-rolling can get tedious and I wonder if another mechanism would have sufficed to do the same thing - especially considering the fact that a d6 is required to determine the roll outcome of the d20. I can't imagine that would have been much fun in 1982. For me, a good game is something where I learned something and had fun. I definitely had fun playing this game. I actually can't stop thinking about my first game and all the adventures my little ship had on its way to just two planets. 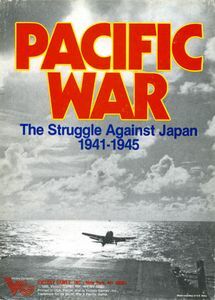 As for learning, I think I learned a little about the dilemmas of game design here. There is a balance to be struck between simplicity of having a single mechanism to determine outcomes (in this case, die rolls on random tables) and tediousness. In my own game, NATO Air Commander, a resolution deck of cards is used to determine most of the outcomes in the game and although I still think that's a nice easy mechanism, I knew some players wouldn't be crazy about the idea of flipping over dozens of cards throughout the game.